Here at the Daily Item, we were on pope watch, no doubt. How long would the conclave last? Where would the new pope be from? Here’s how it shook out: Basically, we all stink at guessing the pope. 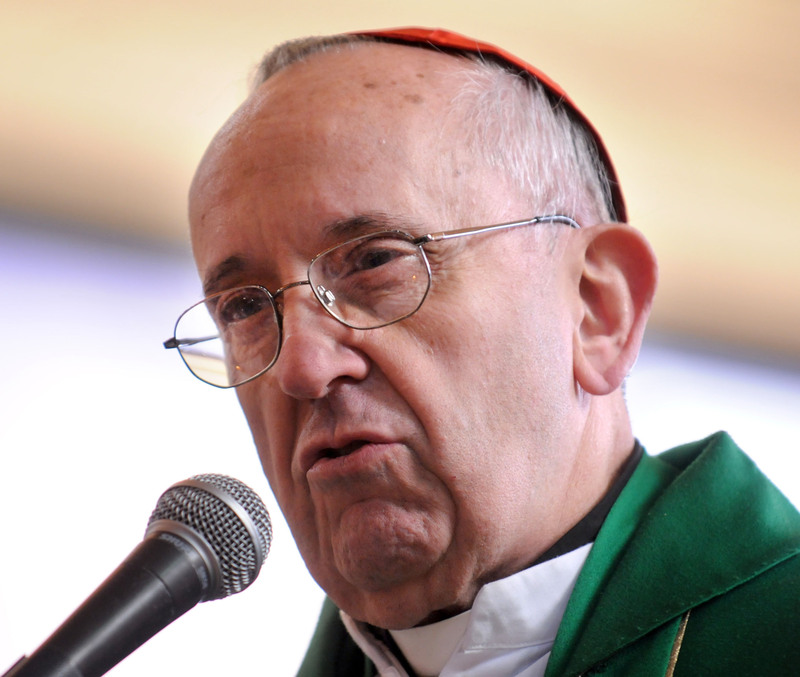 Cardinal Bergoglio of Argentina, 76, was chosen. He will be Francis I.
Managing/Features editor Joanne Arbogast guessed spot on that the conclave would only last one full day. (We didn’t count Tuesday evening as a day, since that is considered to be a dummy vote anyway). So, congrats on that, Joanne. No one had Argentina. But, two people did pick a South American pope – reporter Marcia Moore and photographer Amanda August. They both had Brazil – but I’ll give them credit for being on the right continent. I had the closest at 74 – most people went younger, late 60s, early 70s. I’m not even going to try to name an overall winner. Because we were all over the place on this one. So, in conclusion, don’t bet the house on our papal bets. Here at the Daily Item, we’re all fascinated by the hi-tech ways to be notified of the papal conclave’s status. NEW YORK (AP) — White smoke or black smoke? Maybe it’s easier just to wait for a text message that a new pope has been elected. A Catholic organization has set up a website, www.popealarm.com, that lets people register to receive a text or email notification when a pope has been selected. While the process of selecting a new pope is as old as the ages, there are enough changes to the media to make the last papal conclave — in 2005 — seem like ancient history. The text service was set up by the Fellowship of Catholic University Students, or FOCUS, and had proven so popular with more than 40,000 respondents that the popealarm website said Monday it was accepting no new registrants. The site hopes to increase its capacity before the cardinals begin voting, said Jeremy Rivera, spokesman for the Christian campus ministry. “When the smoke goes up, you’ll know what’s going down” is the website’s motto. FOCUS paid nearly $10,000 to set up the free service, figuring it was good publicity. Now the group’s leaders are sifting through co-sponsorship offers from other organizations impressed with the amount of online traffic it has generated and hoping for their own exposure, he said. Another new website, www.adoptacardinal.org, assigns interested people one of the voting cardinals at random to pray for him as he deliberates on a new pope. More than 450,000 people had signed up by Monday. City editor Bill Bowman is signed up for the texts, while I’m following @papalalarm on Twitter. I’m not particularly invested in the papal election, there’s just something exciting about the ancient tradition of electing someone who is still seen as a world leader. Have you signed up for Papal text alerts? Why or why not?